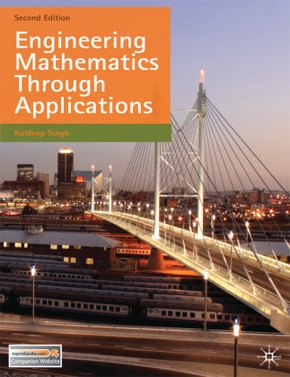 This popular, world-wide selling textbook teaches engineering mathematics in a step-by-step fashion and uniquely through engineering examples and exercises which apply the techniques right from their introduction. This contextual use of mathematics is highly motivating, as with every topic and each new page students see the importance and relevance of mathematics in engineering. The examples are taken from mechanics, aerodynamics, electronics, engineering, fluid dynamics and other areas. While being general and accessible for all students, they also highlight how mathematics works in any individual's engineering discipline. The material is often praised for its careful pace, and the author pauses to ask questions to keep students reflecting. Proof of mathematical results is kept to a minimum. Instead the book develops learning by investigating results, observing patterns, visualizing graphs and answering questions using technology. This textbook is ideal for first year undergraduates and those on pre-degree courses in Engineering (all disciplines) and Science. Introduction: Arithmetic for Engineers.- Engineering Formulae.- Visualizing Engineering Formulae.- Functions on Engineering.- Trigonometry and Waveforms.- Logarithmic, Exponential and Hyperbolic Functions.- Differentiation.- Engineering Applications of Differentiation.- Integration.- Engineering Applications of Integration.- Complex Numbers.- Matrices.- Vectors.- First Order Differential Equations.- Second Order Linear Differential Equations.- Partial Differentiation.- Probability and Statistics.- Solutions.- Appendix: Standard Normal Distribution Table.